Deerhurst is an 760-acre golf and tennis resort on Peninsula Lake in the Muskoka Lakes District north of Toronto. 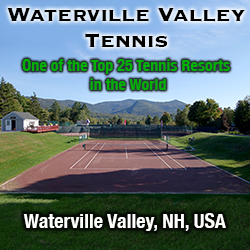 Started in 1896, it has 400 rooms and offers not only golf, tennis (on 4 outdoor hard courts), and watersports but nightly entertainment as well. Summer rates start at $129 Canadian, with specials as low as $99 Canadian. Here's what others have had to say about Deerhurst Resort.